Marjani Fortè-Saunders is a native of Los Angeles, CA, and co-founder with Nia Love, of LOVE|FORTÉ A COLLECTIVE. 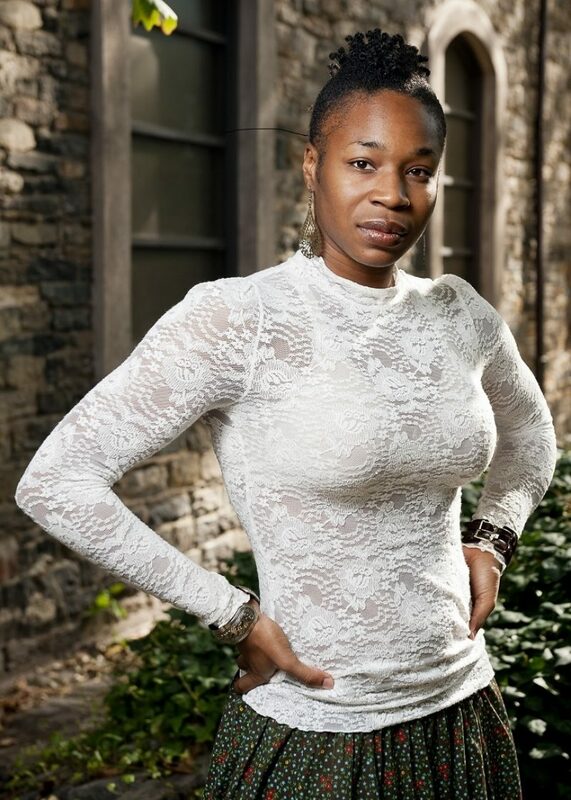 A recipient of the 2014 Princess Grace Choreography Fellowship, she toured with Urban Bush Women Dance Company, andis a recent awardee of the LMCC Extended Life Residency and Commission. In New York, her choreography has been presented at Dance Theatre Workshop, Danspace Project/St. Marks Church, Movement Research at Judson Church, Harlem Stage, Brooklyn Arts Exchange, Bronx Academy of Arts and Dance, Hunter College, and more recently at Queensborough College as a recipient of the CUNY Dance Initiative Residency. In August 2016, she premiered new work with the urban Latin dance theatre CONTRA TIEMPO at the Ford Amphitheatre (Los Angeles). As an extension of her choreography, Fortè-Saunders curated a three-month exhibit at the MoCADA in Brooklyn, NY: being Here… in Memory presented the work of installation, visual, media, and sound design. She also created being Here…: a trilogy of dance works that examined the intersections of mental illness, addiction and systemic poverty. The final section of the trilogy,being Here…/this time, was chosen for a Director’s Choice Dance In Process Residency and premiered at Gibney Dance/Agnes Varis Performance Lab. She has served in academia at Hunter College CUNY, Guest Lecturer/Choreographer at Princeton University, Bard College, and recently joined the team of faculty at the Yale School of Acting. She is also a member of Urban Bush Women’s BOLD Teaching Network, offering UBWs unique approach to dance training and community engagement.